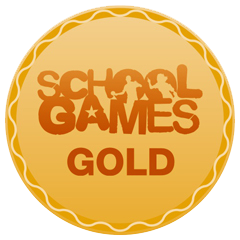 We are pleased and proud to announce that we have been awarded the Gold School Games award for sport. Congratulations to everyone and many thanks to our wonderful sports team leaders, teachers and all our pupils! This is a great achievement. Our thanks go out to all our amazing sports staff (Ronnie and George) and Mrs Balcolmbe for all their hard work.